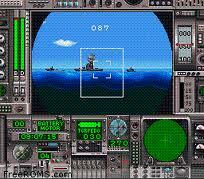 All games in category "Simulation"
Aerobiz (エアーマネジメント 大空に賭ける?, "Air Management: Ōzora ni Kakeru") is a business simulation video game for the Super Nintendo, Sharp X68000 and Mega Drive/Genesis game consoles, released in 1992 by Koei.As CEO of a budding international airline, the player has a limited amount of time to expand their business to become the industry leader against three other airlines (either AI-controlled or human opponents). The player has an amount of control over how their airline develops, such as the name, investments, what routes to fly, plane purchases, and other various aspects, while at the mercy of world events such as politics (for instance, if the player runs his or her airline out of Moscow, he or she can initially only buy Soviet planes and will have a harder time negotiating with Western nations) and natural disasters. The player can also get the company involved in peripheral businesses such as hotels and shuttle services. 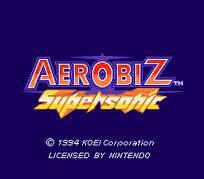 Once Perestroika is initiated, then the Cold War restrictions no longer apply in the game.The sequel Aerobiz Supersonic was released in August 1994 for the SNES and Mega Drive/Genesis. The player is presented with a wider variety of options in nearly everything, but the game play is much the same. Another sequel known as Air Management '96 was released only in Japan for the Sega Saturn and PlayStation. Aerobiz Supersonic, known as Air Management II: Kōkū Ō wo Mezase (エアーマネジメントII 航空王をめざせ?) in Japan, is a business simulation video game released by Koei in US-America in August 1994, available on the Super Nintendo and the Mega Drive/Genesis. 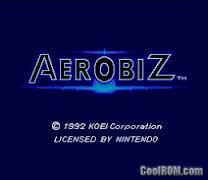 It is a sequel to Koei's previous airline simulation game, Aerobiz. Air Cavalry is a flight simulation video game developed by Synergistic Software. 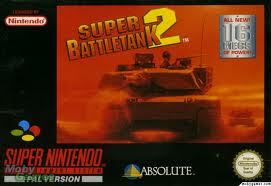 It was released by Cybersoft and GameTek for the Super NES in 1995. Ball Bullet Gun: Survival Game Simulation (ボール・ブレット・ガン サバイバルゲーム?) is a Super Famicom video game that was released in 1995 to an exclusively Japanese market. A translation patch was released in 2004 that rendered this video game into English. Battle Submarine (バトルサブマリン?) is a strategy video game, published by Pack-In-Video, which was released exclusively in Japan in 1995. Jikkyou Keiba Simulation: Stable Star is a Sports game, developed by KCEO and published by Konami, which was released in Japan in 1996. 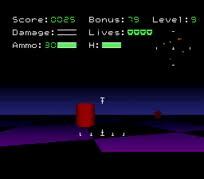 Lock-On is a 1986 first-person shooter and combat flight simulator video game with a futuristic theme. It is developed by Tatsumi and licensed to Data East for US distribution. Features scaling sprites and a full-screen rotation effect. MechWarrior, known in Japan as Battletech (バトルテック? 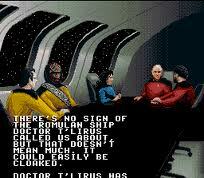 ), is a first-person action video game for the Super NES based on the Battletech universe. 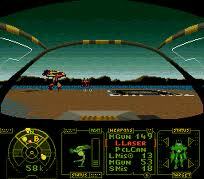 The SNES game was based upon the original PC MechWarrior, with updated graphics that utilized Mode 7 for the Battlemech mission sequences instead of the PC version's flat-shaded 3D graphics.The game was followed by a sequel, MechWarrior 3050, which was played from an isometric view. Mujintou Monogatari is a simulation game developed by Open Sesame and released on Super Nintendo Entertainment System. 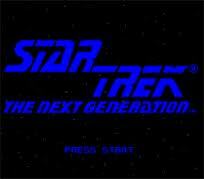 Star Trek: The Next Generation: Future's Past (Star Trek: The Next Generation: Echoes from the Past on Sega) is a 1994 adventure game featuring strategy and puzzle-solving elements. The game was released for the Super Nintendo Entertainment System, the Sega Genesis and the Sega Game Gear. It takes place in the Star Trek universe, spanning Federation space and the Romulan Neutral Zone, and centers on the appearance of the IFD (Integrated Field Derandomizer), an artifact machine of unknown origin that, as its name suggests, allows its user to reshape matter and energy. It culminates in the IFD Trials, three tests undertaken by representatives of any races that are present when the Trials are held, and failure would mean the destruction of the Federation and the enslavement of countless worlds by the Federation's enemies. 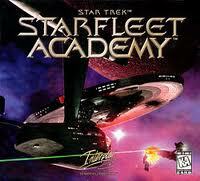 Starfleet Academy - Starship Bridge Simulator is a video game for the Super Nintendo and Sega 32X systems which was released in 1994 by Interplay, the same group which produced many later Star Trek starship games. 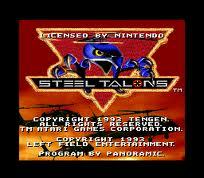 Steel Talons was originally an arcade video game by Atari Games, and was released for the Sega Mega Drive/Genesis, the Atari Lynx handheld, Atari ST, Atari Falcon and SNES. In the arcade, it came as a two-player cockpit cabinet and featured both cooperative and competitive game play modes. 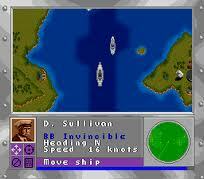 Super Battleship is a naval simulator video game released for the Sega Genesis and the Super Nintendo in 1993. The game is strictly single-player and is primarily a strategy game with some real-time elements. It is based on the Battleship board game by the Milton Bradley Company. 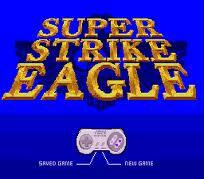 Super Strike Eagle, known in Japan as F-15 Super Strike Eagle (Ｆ－１５スーパーストライクイーグル, F-15 Supa Sutoraiku Iguru? ), is a combat-oriented arcade video game for the Super Nintendo Entertainment System. 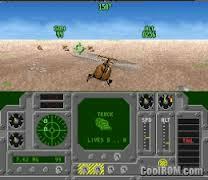 The game involves flying airplanes that tests the player's Sidewinder missile and machine gun firing skills against various non-aligned nations that were historically notorious for housing extremist leaders during the Cold War. The game was released in North America, Europe, and Japan approximately simultaneously. In the Japanese version, real political flags are not used unlike the North American version. 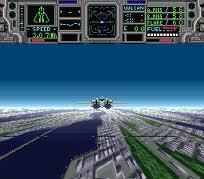 Despite the game's title, it is unrelated to the similarly named F-15 Strike Eagle series.